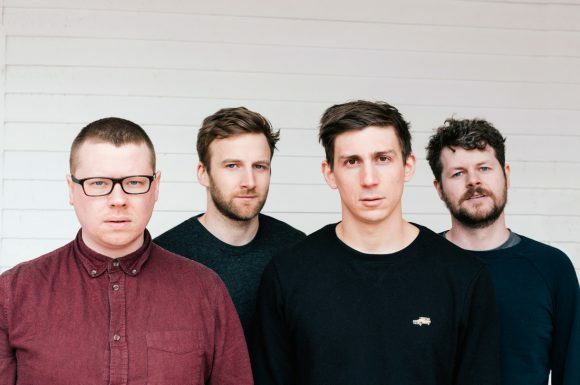 We Were Promised Jetpacks, the awesome Scottish indie quartet, will be at Neumos on Wednesday, October 3rd. After releasing three albums on Fat Cat Records, they’ve moved over to the Big Scary Monsters label (Cursive, Minus The Bear), where The More I Sleep The Less I Dream just came out in September 18. For their first album in four years, The More I Sleep The Less I Dream had Jonathan Law (Sufjan Stevens, The War on Drugs) as producer. I sure like that combo! Kindly, they’ve got the entire album for you to check out before you buy over on the label. Welcome back, WWPJ!! Follow this link to buy tickets and get more show details. Written by: Dagmar on 09/30/2018. This entry was tagged posted by dagmar, we were promised jetpacks. Bookmark the permalink.